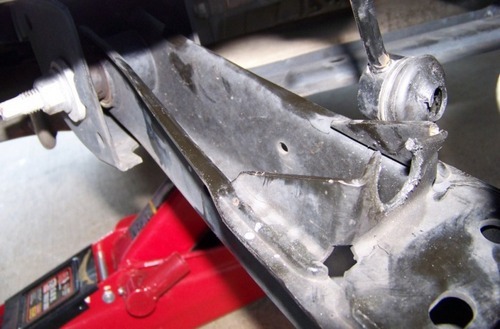 The stock rear lower control arms are known to have strength issues with the rear sway bar end link mounting tabs. 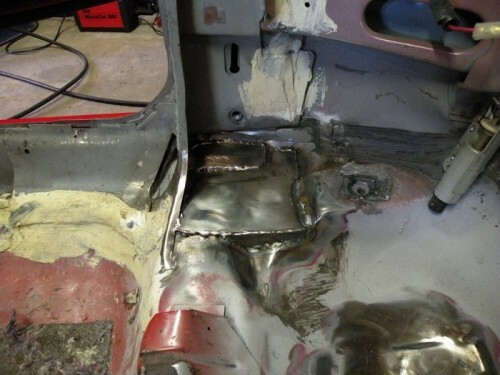 Many people have been having the rear sway bar end link mounting tab on the stock rear lower control arms on their 2010+ Camaro and 2008-2009 Pontiac G8 deforming, breaking off and/or cracking out the mounting hole. These issues have been found with a stock sway bar and stock end links as well as with aftermarket rear sway bars with stock end links or aftermarket end links. 1. 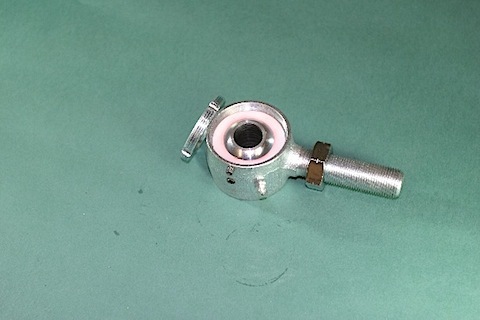 Our rear sway bar end link mount is CNC laser cut and formed from much thicker 3/16″ thick steel and they have extra “meat” in place surrounding the mounting hole area. 2. 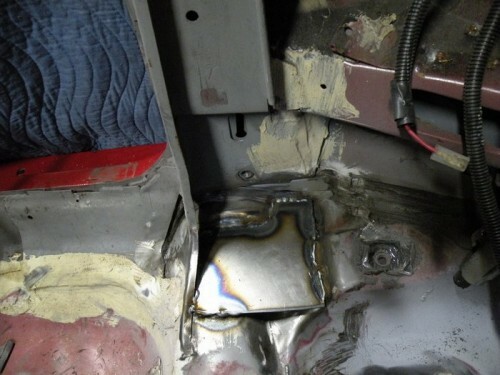 Inside of the rear lower control arm we have a fully welded 3/16″ steel full width and height gusset directly under the rear sway bar end link mounting tab. This ties the tab to the full surface area of the rear lower control arm to prevent any stretch of the tab away from the control arm. 3. 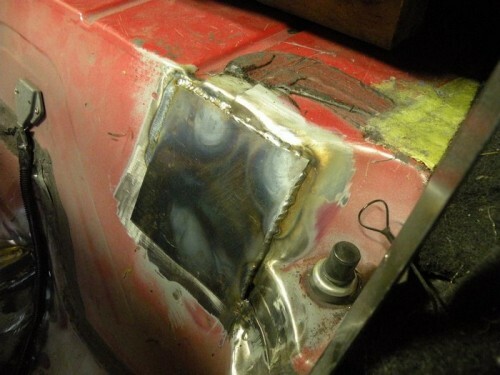 The rear sway bar end link mounting tab is completely MIG welded around all sides. This video was created by Steve Meade from SteveMeadeDesigns.com and posted on his YouTube channel. 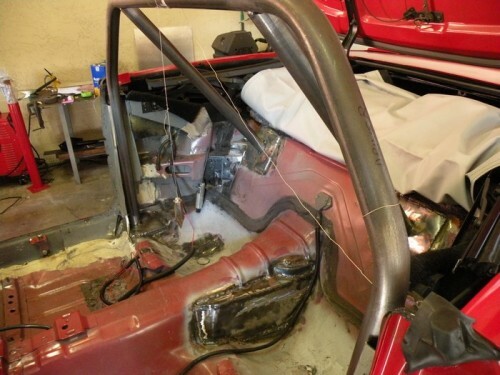 He details the installation ofÂ his Spohn Performance 2000-2006 GM SUV adjustable panhard bar on his air bag equipped 2001 Chevrolet Tahoe. If you have ever lowered or bagged a Chevy Tahoe or Cadillac Escalade, you know they come down on an angle that makes the entire rear end shift to the left. 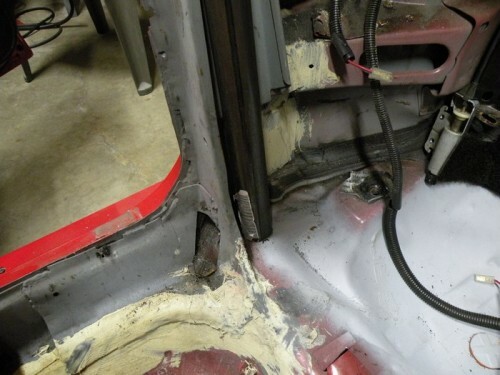 This causes the wheel on the rear passenger side to stick out past the fender and very slightly touch it, while the driver side tucks inside the fender and has room to spare. 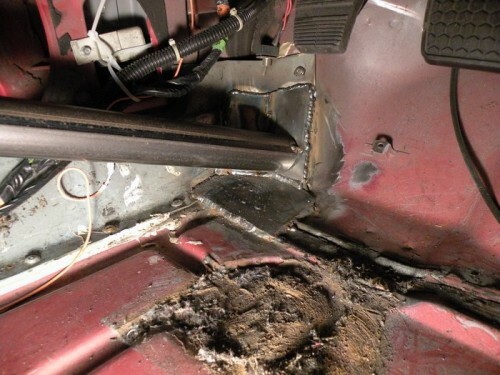 This is caused by the factory panhard bar. The solution was to install an adjustable one. The video is self explanatory from there! Lets just say, it works and FINALLY my SUV drops straight down and has even “tuckage” on both sides now. I got it at http://www.spohn.net. Visit my website to see this Tahoe built from the ground up as well as TONS of other vehicles at http://www.SteveMeadeDesigns.com/board. 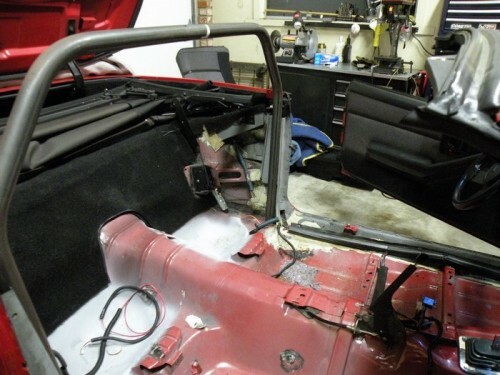 A common question we get asked is if the roll bars and roll cages we sell for the 1982-1992 GM F-Body Camaro and Firebird will work in a convertible car. The answer is yes, as long as you’re not a person who expects things to just “fall in place”. 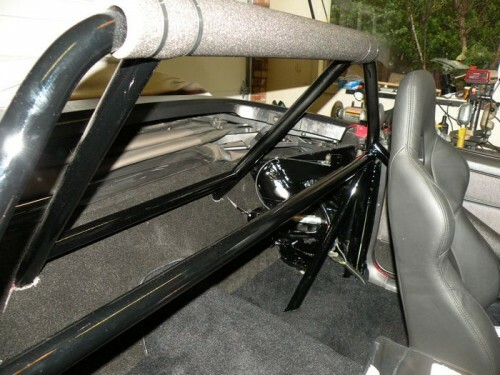 Larry Basegio from Aptos California sent us the pictures shown below that detail his installation of one of our 8 point roll bars in to his Thirdgen Camaro convertible. Larry called a few times for some tips and advice (which we gladly provided!) as his installation progressed. 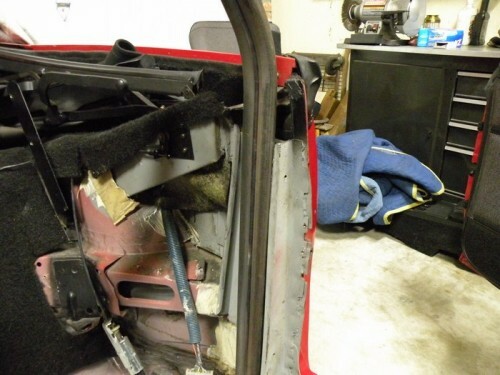 As you can see, the only “mods” required for a convertible roll cage installation are some shaping of some of the floor plates to fit around the convertible’s factory reinforcing, and shortening the two rear down bars to mount to the convertible’s rear deck face. 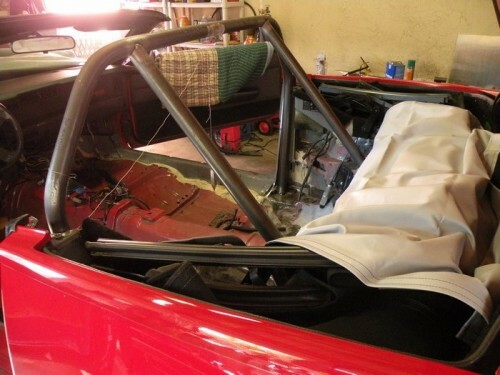 I also want to note that Larry is not a professional fabricator (he’s actually a scientist!) and did all of this by himself in a two car garage. 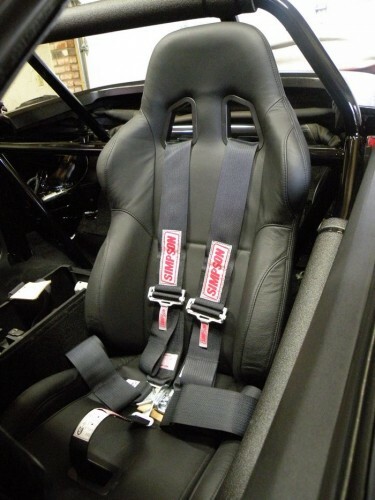 Great work Larry, and thanks for sharing the pictures of your installation! 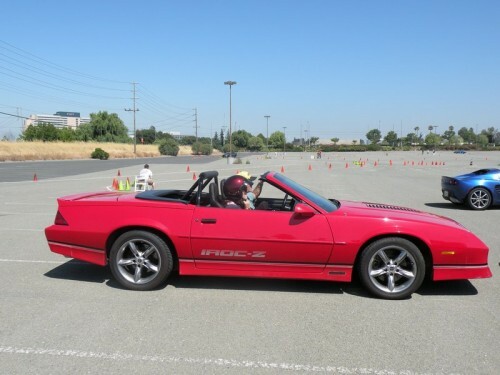 Note: The same applies for installing a roll bar or roll cage in to a 1993-2002 GM F-Body Camaro and Firebird convertible car as well. 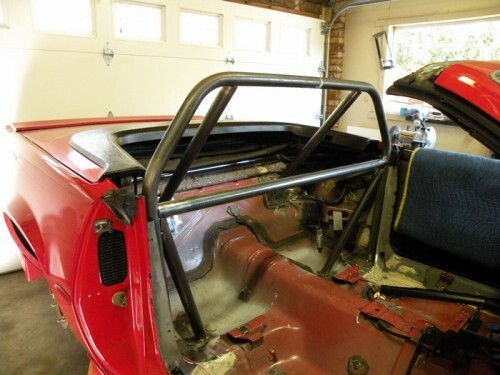 Check out the full selection of roll bars and roll cages for the 1982-1992 F-Body Camaro and Firebird and for the 1993-2002 F-Body Camaro and Firebird on our website. 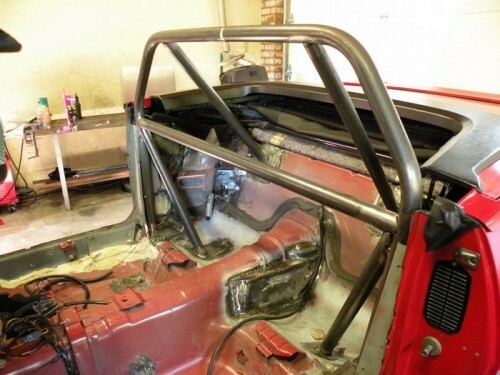 We also carry roll bars and roll cages for a variety of other vehicles, check out our online catalog to see what we offer for your vehicle. 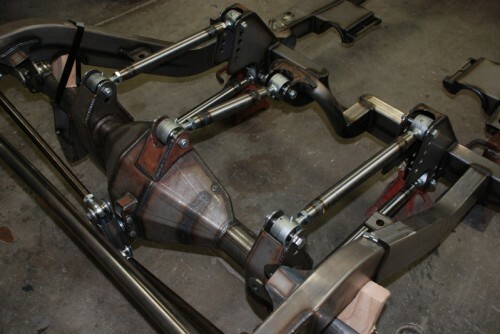 WhenÂ Art Morrison first approached us with the idea of the transforming combination 3 and 4 link rear suspension for our 1969 Camaro project, we loved the idea. And after I thought about it a bit longer, I called Matt Jones (their suspension engineer) at Morrison and told him to be sure and design the brackets of the new suspension to use Spohn Performance Del-Sphere pivot joints. Matt took some measurements and they were able to accommodate us. As a result,Â Spohn Performanceâ€™s Del-Sphere pivot joints are all over theÂ rear suspension on Project Unfair, and for good reason. 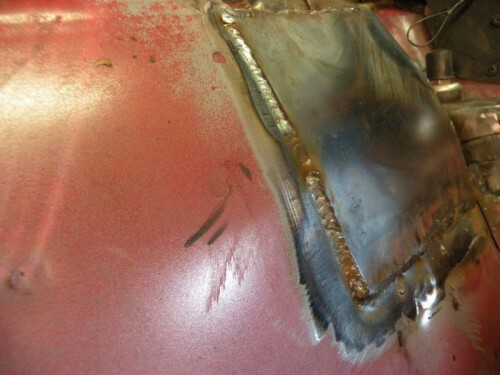 I first used Del-Spheres on my previous Chevy II Nova project (II Much) when the original rod ends started to wear (after a few hundred miles) and started to transmit NVH (noise, vibration, and harshness) into the car. I swapped the rod ends to Del-Spheres and it greatly reduced the NVH, with no loss of accuracy or articulation. 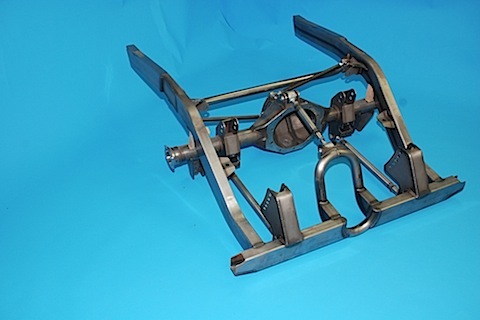 Strictly speaking, the Del-Spheres donâ€™t have quite as much misalignment capability as a rod end, but for rear suspension linkage arms like Unfairâ€™s combination 3 / 4 link, it offers plenty with no loss of strength. 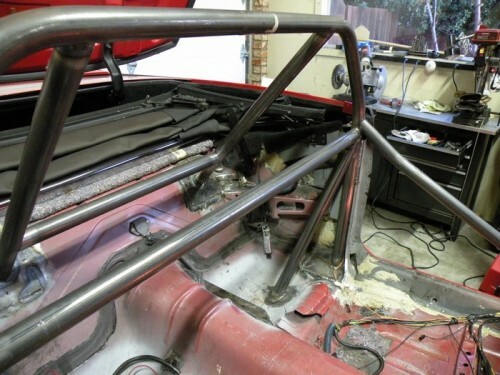 The main body of the Del-Sphere is forged chrome moly steel, with a forged ball. The body and ball are separated by Delrin rings, and the body incorporates a rebuildable and grease-able design that allows for the quiet of rubber and the accuracy of steel. 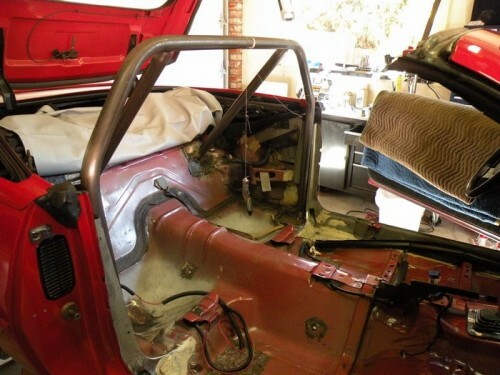 Weâ€™re confident the car will have excellent handling and ride characteristics, as well as handle the 1200 hp the engine will produce when we put the hammer down! 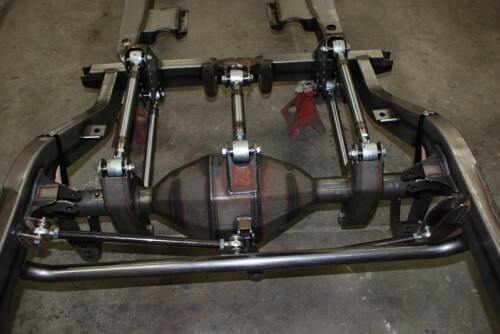 Hereâ€™s the whole rear suspension in what I call â€œ5-linkâ€ mode. 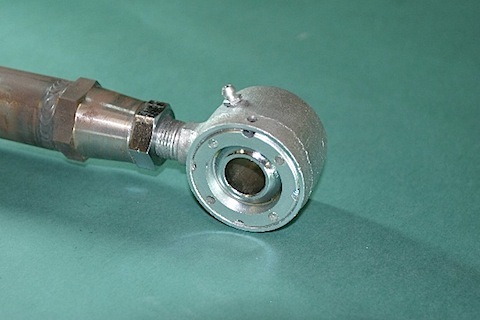 Note how the Del-Spheres are used on all the control arms except the Watts link. This is the road racing setup with a 3 link. 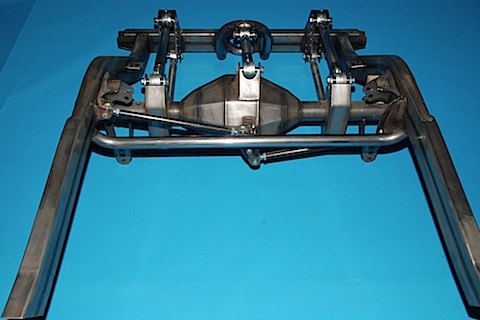 For drag racing, the upper control arm in the middle is removed and replaced with two control arms on the side. The Del-Spheres provide the misalignment we need for turning the car on the 3 link setup, and the strength for 1200 hp launches on the 4 link setup. 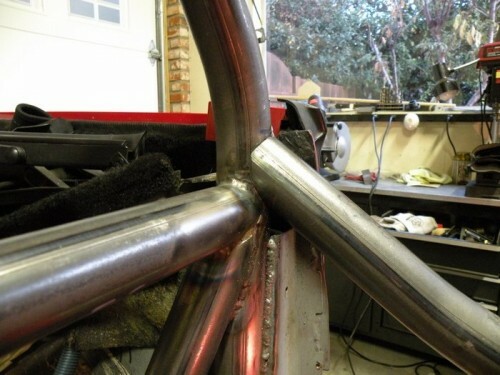 Hereâ€™s a closeup of the Del-Sphere, screwed into one of Unfairâ€™s 4 link upper control arms. Taking off the pre-load adjuster shows the Delrin inserts and how they isolate the ball from housing. Hereâ€™s a complete disassembly. 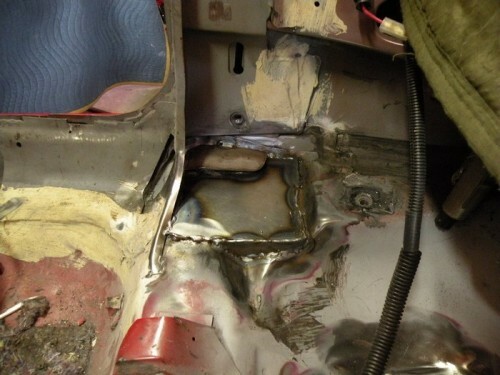 The forging line in the housing is visible. For more information on the Spohn Performance Del-Sphere pivot joints read our technical information page. 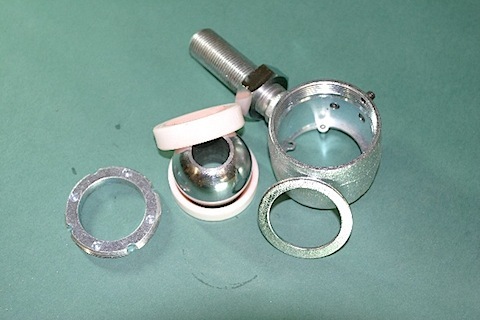 To order Del-Sphere pivot joints for your application visit our online catalog. We recently came across these videos on YouTube and thought we’d share them with everyone. We often get asked the “easiest way” to remove rear upper control arm rear end housing bushings from the rear end housing and these guys do an excellent job showing just that. 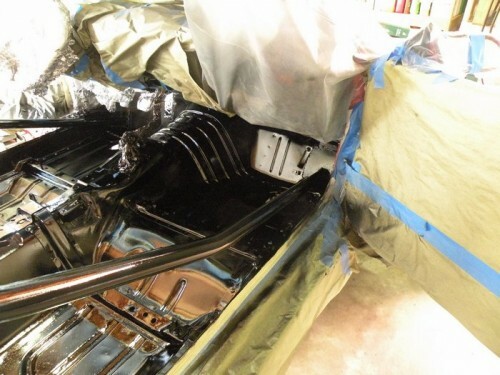 You’ll note that in these videos they are showing you how to do a 1964-1972 GM A-Body Chevelle, but the same exact technique would apply on your 1979-2004 Ford Mustang, 1978-1987 GM G-Body, 1978-1996 GM B-Body, etc. 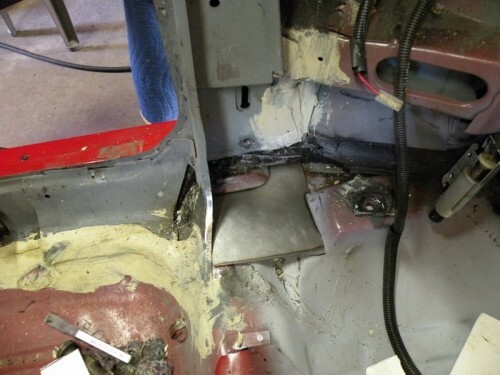 The first video shows you a very easy way to remove the bushings from the rear end housing. The second video shows you how to install your new replacement bushings in to the rear end housing. Enjoy!